How to Pass Pathophysiology in Nursing School | What is Pathophysiology? Nursing students will take a nursing class in college called Pathophysiology to help them understand how to restore the body after it suffers from a number of possible abnormalities that lead to diseases. Many nursing students find pathophysiology difficult and that is takes good study habits to successfully pass the class. Nurses ensure that patients remain healthy. When patients enter hospitals and clinics, nurses must identify their medical conditions and treat them accordingly. Some diseases can be prevented and those that cannot are managed by nursing professionals so that patients can be restored back to good health. The area of pathophysiology refers to the scientific study of disease or abnormal processes. Any ailment of the body that disturbs its normal physiological processes is the study of pathophysiology. The process involves looking for specific malfunctions that cause or come from disease. Nurses use pathophysiology every time they come in contact with a patient. Nurses must have an exceptional level of skill in this area since what is considered a healthy function or structure in one patient may not necessarily be considered healthy in another patient. Nursing students take a pathophysiology course in college to prepare them to identify these abnormalities. Courses are available from accredited colleges or universities, and students can take this course completely online or on campus. The course consists of cases studies, visual aids, assessment scales, simulations, tests, and other tools. Compare and contrast the effects of culture, ethics, and genetics have on disease progression, treatment, health promotion, and disease prevention. Nurses use pathophysiology to understand the progression of disease in order to identify the disease and implement treatment options for their patients. Nurses use the information that they find to identify the next course of the disease so that they can provide their patient’s with the appropriate care they need. The medical procedures and medications that nurses administer to patients depend greatly on the nature of the disease. Nurses also use pathophysiology to care for their terminally ill patients. Caring for patients as their lives near the end is just as important as caring for patients who are not terminally ill. Nurses have to be able to identify the signs that their patients display in their final days. Nurses have the responsibility to provide care that helps patients experience the upmost comfort as they reach their final days of life. It is very important that nurses gain a significant amount of exposure to a diverse number of patients because diseases tend to manifest differently in every person. What is normal for one patient may not be normal for the next patient. Lack of exposure to diverse medical diseases may lead to erroneous or missed diagnosis. 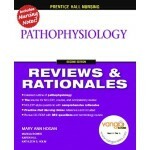 As stated at the beginning of this article, Pathophysiology is one of the courses nursing students have trouble passing. This is due to the fact there is so much material to cover in such a short time as a single semester. Buying a good study guide is essential for passing Pathophysiology. Pathophysiology is one of the hardest courses that nursing students will take in nursing school. Here are a few suggestions that can help nursing students meet success in this course. Read and reread the material as much as possible. The best way to memorize the information for this course is to go over it repeatedly. Also, read the chapter summaries and introductions to help to get a better understanding of the content. Utilize professors as needed. Use the professor as an expert resource to help clarify any information that is not clear. Ask questions immediately to prevent a halt in studying. Students should pay close attention during the lectures because the professor may provide extra information to help with the test. Make flashcards. Nursing students can write information pertaining to drugs and their side effects, interactions, and uses on flashcards. Pay close attention to wording on the test. Words like never, always, none, all, and should may help students identify the correct answers on the test. Read each question and answer carefully before making a selection. Nurses have a wealth of information that they must know in order to help their patients. It is important to understand how a disease affects a specific individual before a specific treatment can be administered to help the patients prolong their lives. Exposure to an abundance of people and diseases is what makes the skills learned in the pathophysiology course so valuable.